On Tuesday January 16, 2018 an important conference was held for educational policy makers entitled: ‘Bush-Obama school reform: lessons learned’. At the conference the hope was to uncover what were the highlights of a fairly heated and deeply controversial era for education that effected all corners of our country. 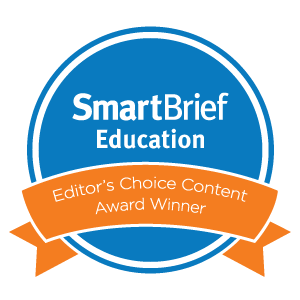 Honestly, I’m not too concerned with their findings…we have spent the last century of education in America rehashing the same battles with different technology and different names at the helm. 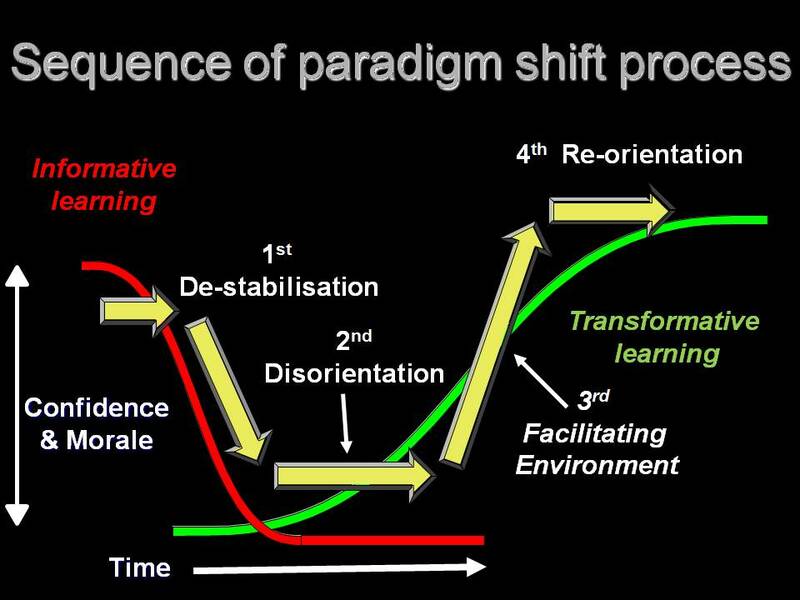 If we look at the paradigm shift graph, that translates to us having been in phase two for quite some time. What concerns me is the deeply entrenched paradigms that exist about education in our society. These if not addressed will continue to wreck havoc on any attempt to ‘reform’ education. Yet, lest we forget, the ‘reform’ we truly need is a heart and mind check in how we view education, learning, and teaching in a broader societal context. What are these paradigms? Below is a short list that I have pondered and reflected on throughout my very, very (strong emphasis on the very) brief time engaged in this education journey. As others reflect please let me know of others you see or have experienced. Remember, we are at stage two…the exciting part of the journey may just be around the corner, but it will never take root if these paradigms are not addressed in a sincere manner. My hope is to take a few of my future blog posts to flesh out the thesis of each paradigm. 1. Education is about economic advancement for without a strong education system we will fall behind as a nation: Almost every measurement metric and accountability methodology is based in this paradigm. What happens if education is about creating better people? Then could we accept that the metrics and methodologies we use are inadequate for that purpose? 2. We have conditioned a generation to think transactionally: I will do this for an ‘A’. I’m doing this right now because I’ve been told to do it and I want that etc… Why has an unhealthy social media relationship arisen with this generation? These tools fulfill the desire for an immediate transaction. That quick like or snap. Can we condition for internal motivation? The human spirit is capable of many things…why not desire for something greater? 5. Siloing of education and broader society: We have created academic silos and it has seeped into our broader society. These knowledge silos are stifling a lot more than just political discourse. It may be hindering innovative advancement for society…that is where the true danger lies. The greatest moments of historical transformational change in society, science, education, medicine, and all other areas can be traced to the cross-pollination of existing knowledge which has borne fruit into groundbreaking advancements. I’m excited to dedicate future posts to further exploration of these paradigms. Today ponder…how have I helped entrench these paradigms in my classroom? How will I shatter them? 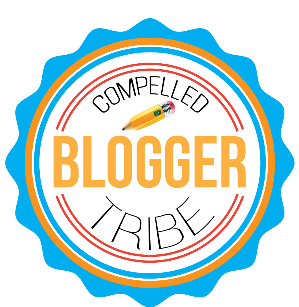 Recently, I’ve officially joined the #CompelledTribe in their educator blogger community. I’m excited at the opportunity to grow with this great group of inspiring educators. Thanks for allowing me to be a part of the tribe!